This is a DIY Universal Cross Member Kit to hold up your transmission or transfer case, independent of your vehicle belly skid plate. 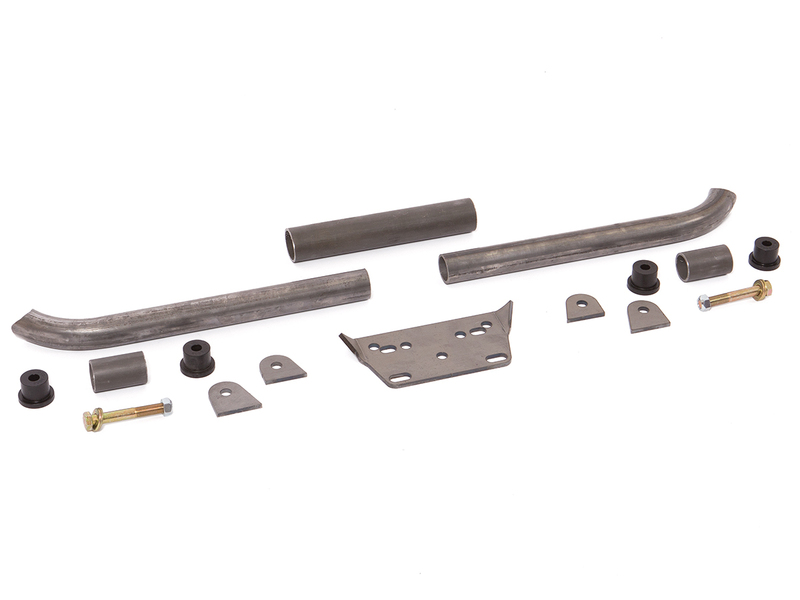 We have designed this kit to be Compatible with a wide variety of engine and transmission configurations used in Jeeps. Its design allows for maximum clearance to the essentials like front driveshaft and exhaust, while still supporting the driveline with a durable tubular cross member that is urethane-mounted to the inside of the frame. The cross member pieces are all laser-cut for precision and ready for you to tack weld together in place, then Remove for final welding and paint. This is the same kit we use on all our GenRight Jeeps to keep the belly as flat as possible. The Cross Member kit is designed to attach to the inside of the frame, above the belly skid plate.